A new baby elephant has been added to the elephant population at Disney’s Animal Kingdom. Donna, a 22-year-old elephant Donna is the proud mother of a 288-pound female calf who has yet to be named. Right now, baby and mom are in their backstage home, but in several weeks are expected to join the rest of the elephant herd on the Kilimanjaro Safaris. Walt Disney World is planning the construction of a new 2,000-room resort that will open in 2012. “Disney’s Art of Animation Resort” will feature 1,120 suites with room for as many as six people per room and another 864 traditional rooms, with a design theme based on four of the company’s most popular animated movies. In conjunction with the Star Wars Celebration V taking place in Orlando August 12-15, 2010, guests to have an opportunity to be the first to be the last to ride Star Tours before its October closure prior to its conversion into a newer version of the attraction. The “Last Tour to Endor” event will take place on August 14 from 8 p.m. until 1 a.m. at Disney’s Hollywood Studios. 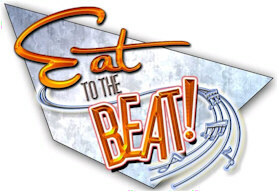 Disney has released the official schedule for the “Eat to the Beat” Concert Series at the 2010 Epcot International Food & Wine Festival. The impressive lineup that includes several Grammy-winning artists and six new acts, including Sugar Ray, Rick Springfield, Air Supply and Howard Jones. 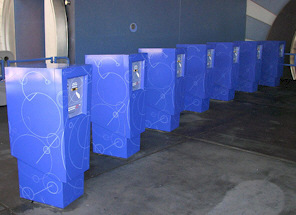 For the first time in Disney Imagineering history, Imagineers are going to take advantage of the ability to swap out computer programs and change one of the midway games at Toy Story Midway Mania. The transition will occur in conjunction with the upcoming Toy Story 3 which is scheduled in theaters on June 18. The balloon pop game will be changed from Bo Peep and her sheep to Rex and Trixie (the triceratops from the new movie), and will feature a jungle/volcano theme. Disney’s Animal Kingdom recently welcomed the birth of a critically endangered western lowland gorilla. The newborn is doing well and has already become an integral part of the gorilla family group that includes first-time mother, Kashata, father Gino and two other females. Walt Disney World has announced plans for ‘Summer Nightastic!, a series of events that begin in early June 2010 and run through the summer season. Summer Nightastic! will include the return of the Main Street Electrical Parade, a huge daily firework show (a renamed ‘Magic, Music and Mayhem’) at the Magic Kingdom, and a new drop profile and effects for the Tower of Terror. The free one-day admission ticket will be made available to as many as 1 million people who volunteer through HandsOn Network, a giant volunteer organization and will be honored at one of Disney’s Anaheim and Florida parks. During the recent D23 Expo, Walt Disney Parks and Resorts Chairman Jay Rasulo confirmed rumors regarding the Fantasyland expansion in Walt Disney World’s Magic Kingdom. Scheduled to be complete by 2013, this would be the largest expansion in the history of the Magic Kingdom and would vastly increasing the size of the existing Fantasyland. We have some additional details along with concept art as revealed at the expo itself. Insider’s Guide to Disney World is reporting that Disney’s Animal Kingdom is testing a new FastPass distribution system. The general idea behind the new system is that a central location will be provided within the park (actually, there are two at Animal Kingdom) to get FastPasses for each FastPass eligible attraction. The lineup for the 27th annual “Night of Joy” held at Walt Disney World in Florida has been released. The two-night event is celebrating its second year at Disney’s Hollywood Studios, and will take place from 7:00 p.m. to 12:15 a.m. on September 11 and 12. Read on for the list of acts with show times and locations. Orlando Attractions Magazine is reporting that the rumors surrounding recently leaked blueprints related to a very near future expansion of Fantasyland in Walt Disney World’s Magic Kingdom are indeed true. In fact signs that construction is about to begin are already evident. Thanks to The Disney Blog, we have seen what appears to be very real blueprints laying out all the new ‘attractions’ planned for an expanded Fantasyland at Walt Disney World’s Magic Kingdom. While the plans look legit, the real question is have these been approved for construction and if so we should start seeing bulldozers pushing dirt as soon as October. 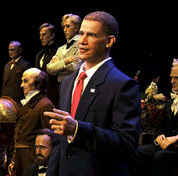 Following a week of sneak previews and Passholder previews, the Hall of Presidents officially re-opened debuting its newest member – President Barak Obama. The new show carries the subtitle “A Celebration of Liberty’s Leaders” and for the first time features speaking roles for three presidents.